In October, the South East Asia and South Asia regions led overall growth. 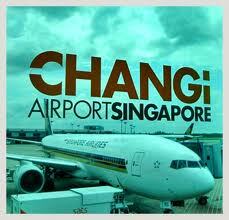 Among Changi’s top 10 country markets, Malaysia (+11%) and India (+12%) registered double-digit growth. For the first 10 months of 2016, passenger traffic at Changi Airport has risen 6.0% to 48.24 million. As at 1 November 2016, more than 100 airlines operate at Changi Airport, connecting Singapore to some 330 cities in about 80 countries and territories worldwide. With more than 6,800 weekly scheduled flights, an aircraft takes off or lands at Changi roughly once every 90 seconds. New Services – Changi Airport welcomed new services and increased service frequencies with the commencement of the Northern Winter 2016 season on the last Sunday in October. A total of 45 new services to ten destinations across Asia will be introduced during this period. New Stores & Restaurants – In the transit areas, Crystal Jade La Mian Xiao Long Bao at Terminal 1 offers classic and contemporary interpretations of Chinese cuisine such as steamed dumplings and handmade noodles. Christine’s by The Cookie Museum, renowned for its handcrafted cookies with special local flavours such as chicken rice, pandan, chilli crab and durian, is now open in Terminal 2.